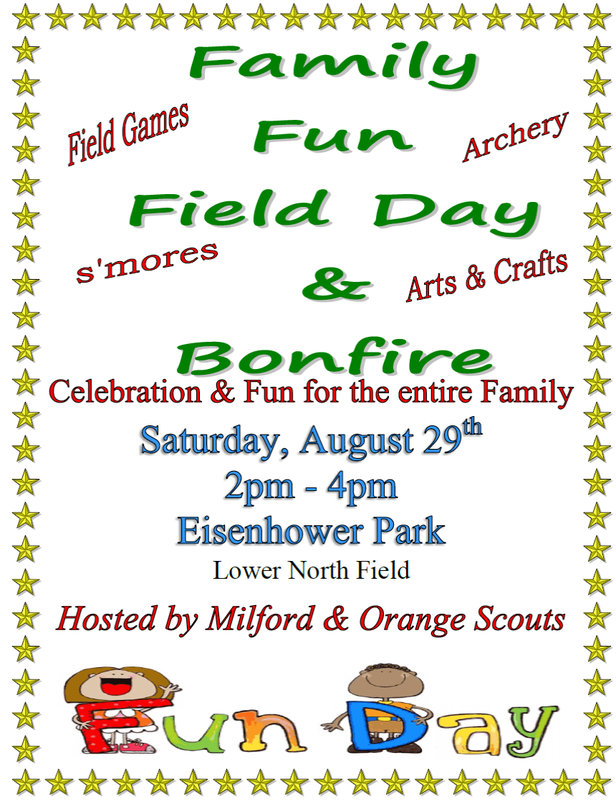 Come join the Milford and Orange Scouts as they host “Family Fun Field Day & Bonfire” on Saturday August 29th, 2015 from 2pm to 4pm EST at the Lower North Field in Eisenhower Park, right here in Milford, Connecticut. This event is being sponsored by the United Way of Milford. It will be great fun for the entire family. Field games, archery, arts n’ crafts and much more will be offered during this event. This entry was posted in News and Events and tagged Connecticut., Eisenhower Park, Family Field Fun Day, Milford, United Way, United Way of Milford. Bookmark the permalink.